← Believe it or not…. The current WIP is my house. 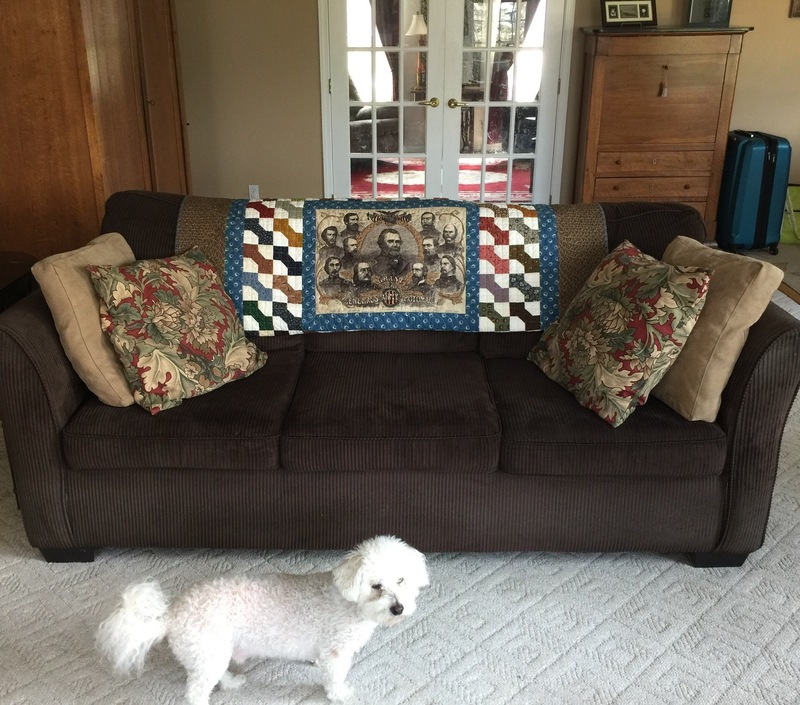 I hung up some quilts in the family room. 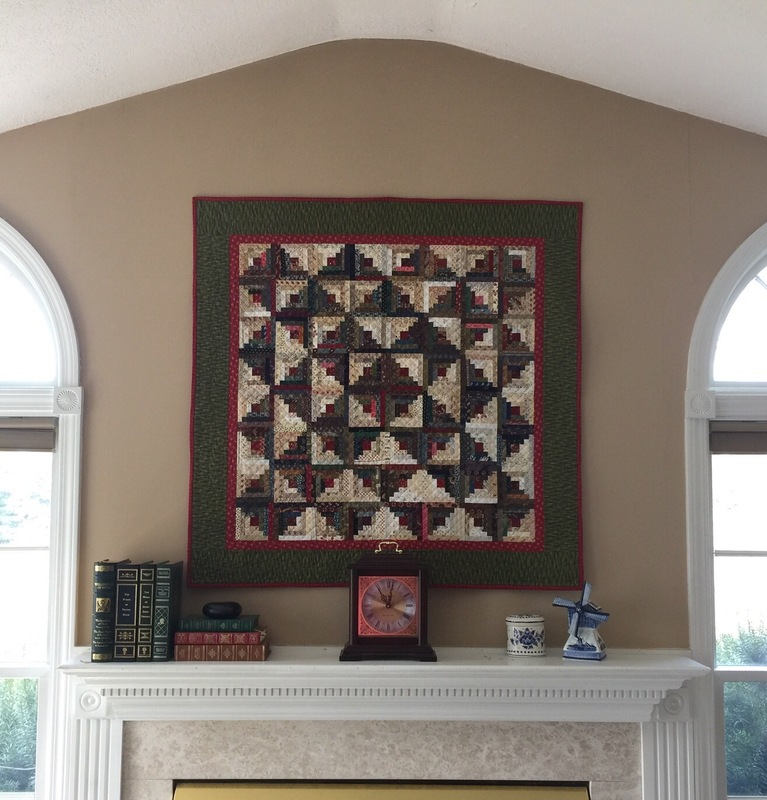 I hung my log cabin quilt over the fireplace. 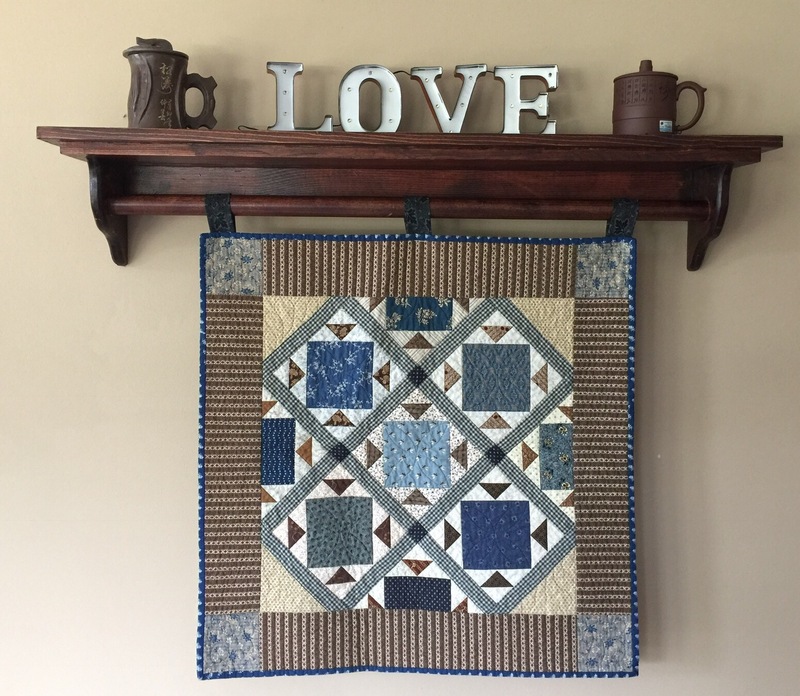 On my rack, I hung my Midwinter Blues quilt. I have my Grant’s Bowties on the couch. And my tiny tumblers on the coffee table behind the couch. If I decide that I’m keeping this arrangement, I will switch to a higher table in this spot. 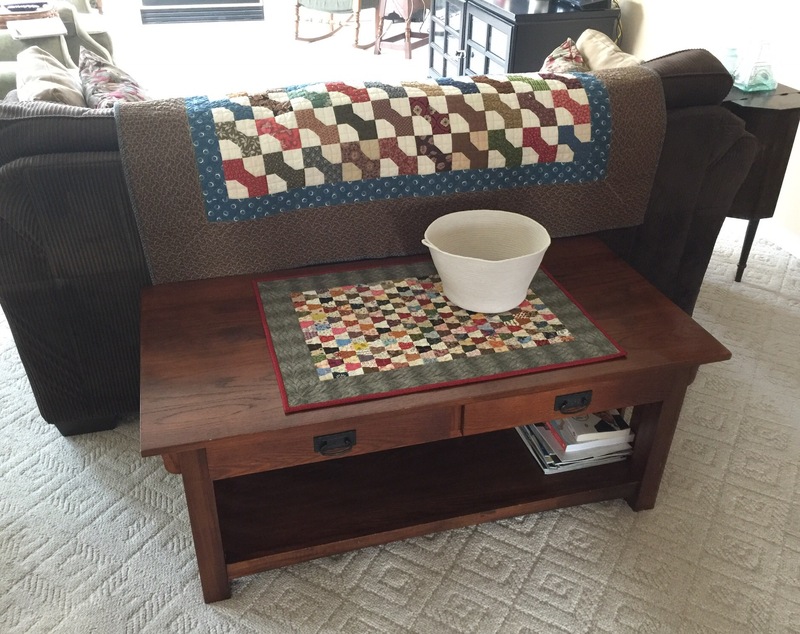 Love your living room with all your quilts. I really love your carpet it looks like you longarmed it! I really like how those work so well together. I would enjoy living with them. Oh boy that beautiful rug brought up a cringe memory. I wanted that color & shopped around for a long time & bought a berber. I didn’t have it very when I caught a loop on my shoe & created a run. In the middle of the room! AND how about that cute little dog! Always by your side, LUV! These all look wonderful Katy! I really like what you’ve done, Katy! It looks so warm and welcoming! Love all your quilts and the placements.